It’s all about splitting hairs. Politicians, the media, Muslims and well, quite frankly masses of Americans will do anything to avoid discussing what the “motive” behind Muslim terrorist incidents are. It is very simple. Islam’s doctrine..including the Quran, the hadiths and Islamic law directs believers to kill the non believers. When, and until it is understood Islam is not a peaceful religion, there will be more teddy bears, balloons and vases of flowers set as reminders of the barbaric, antiquated, political system Islam truly is. Quran (2:191-193) And kill them wherever you overtake them and expel them from wherever they have expelled you, and fitnah is worse than killing. And do not fight them at al-Masjid al- Haram until they fight you there. But if they fight you, then kill them. Such is the recompense of the disbelievers. Quran (2:194)-[Fighting in] the sacred month is for [aggression committed in] the sacred month, and for [all] violations is legal retribution. So whoever has assaulted you, then assault him in the same way that he has assaulted you. And fear Allah and know that Allah is with those who fear Him. Quran (2:216)-Fighting has been enjoined upon you while it is hateful to you. But perhaps you hate a thing and it is good for you; and perhaps you love a thing and it is bad for you. And Allah Knows, while you know not. There are over 109 verses in the Quran calling for violence against non believers. Yes, the bible had violent verses, but occurred in a historical context rather than a current, call to action. Christians are often mocked and portrayed in offensive ways, while if the prophet Muhammad is mocked or portrayed in what Muslims consider offensive, mayhem and murder happens. Theo Van Gogh, a film producer in the Netherlands was assassinated after releasing a 10 minute film titled Submission, which revealed the violence that occurs to women under Islamic law. 8 Muslims were charged in his death. Lars Vilk, a Swedish cartoonist was targeted by Muslims after he drew a picture of Muhammad with the head of a dog. Vilk was also attacked after showing a film which depicted a Muslim man walking into a gay bar. 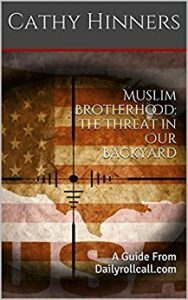 Bringing it back to the U.S, in 2015 two Muslim men went to an event in Garland TX hosted by Pamela Geller in an attempt to kill those inside participating in a draw Muhammad event. Violence occurs because people draw Muhammad? As retired law enforcement I get needing answers and motives, but I also get in times of war there isn’t time to speculate or overthink why the enemy is killing. If you understand Islam, you understand the motive. Once its understood Islam is the motive, the means and their networks will follow. The West is at war. Why is it we need to ration whether the murder of human beings was inspired or directed? Murder is Murder. Only until we in the West define and identify the enemy, we will continue pointless conversations. In law enforcement when someone commits a crime, they are categorized by the crime they committed. Murderers, robbers, burglars or pedophiles. We are at war, do we really have time to ponder?